It has been a busy spring so far over here. I mean between the house projects and the Spring decorating we are just so ready for this new season. 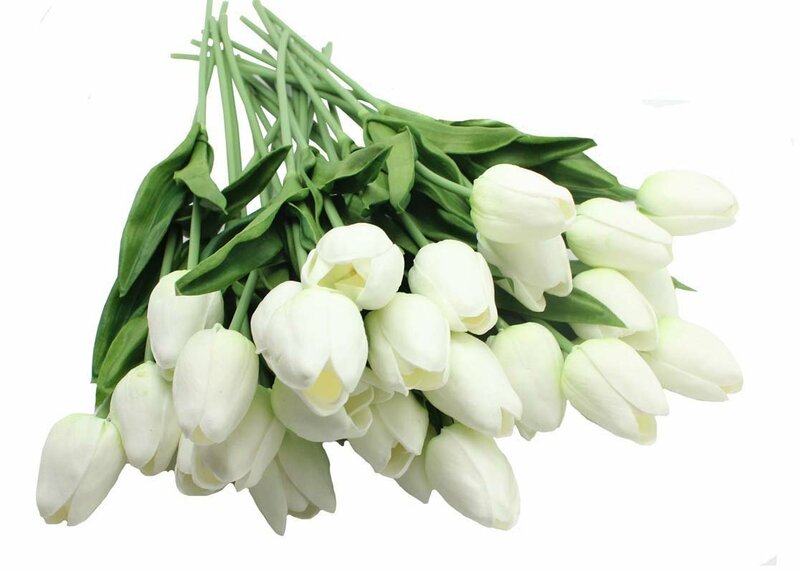 Of course, just because we are ready for Spring doesn’t quite mean that the weather is ready to become Spring like. Let’s just say our February felt more like spring then the month of March. Praying that April will be much better than this month has been. 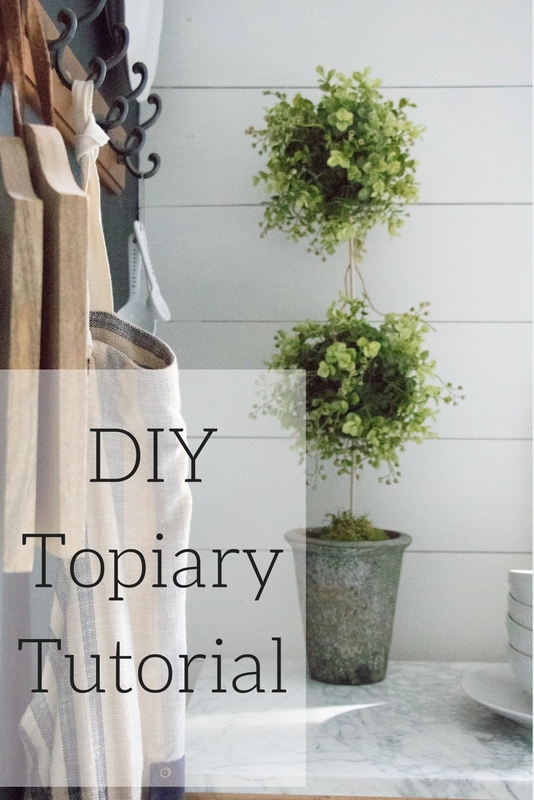 Since I am quite ancy for the warmer weather and greenery, I’ve got another cute Spring space to share with you all today. 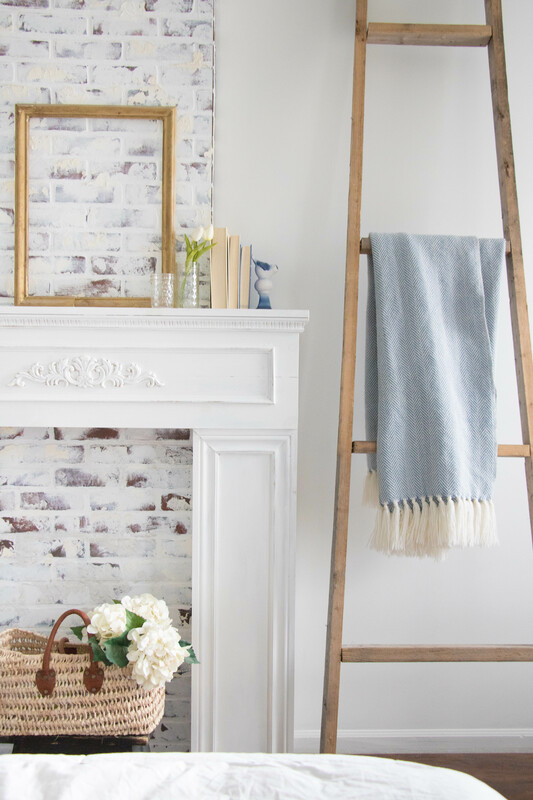 Two weeks ago I shared my Family Room Farmhouse Spring Mantle, and my Spring French Farmhouse Tour, and now this week I’ve got a Simple Spring Mantel to share with you all. Thanks to Carrie, from from Lovely Etc for hosting another great year of Spring Tours. 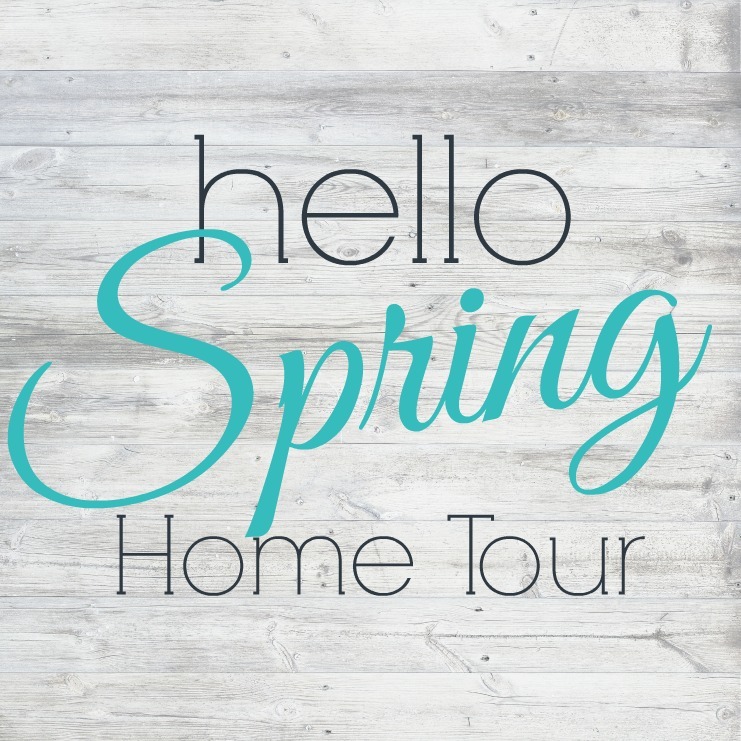 Be sure after my post to go check out some of the other bloggers, that are sharing their Spring Tours and projects as well this week. 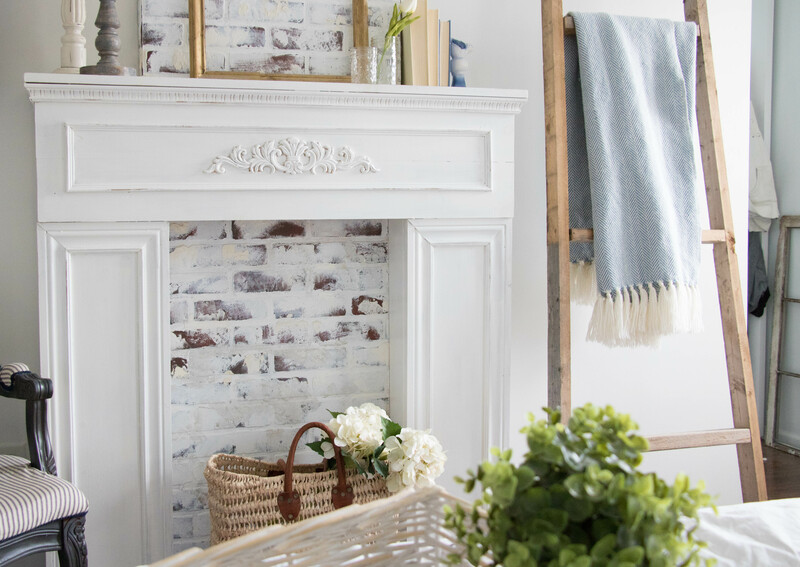 Creating that faux mantel in my bedroom for sure has made it exciting to be able to decorate two mantels each new season. I try not to overcrowd the one in our room too much since it’s a bit smaller and I really like to keep the bedroom simple as can be. For more info on how we built this mantel you can click here for details. So I kept it simple this season especially since we decided to paint our bedroom white. I’ll be sharing that in a couple weeks with you when the One Room Challenge starts. Long story short I was going to just paint my room but then once I did I decided I wanted to do more with it and thought maybe it would be easiest to do this space instead of our master bathroom for the challenge. I don’t know when that Master bathroom is getting done, but it’s going to be put on hold again. So, back to my spring mantel. 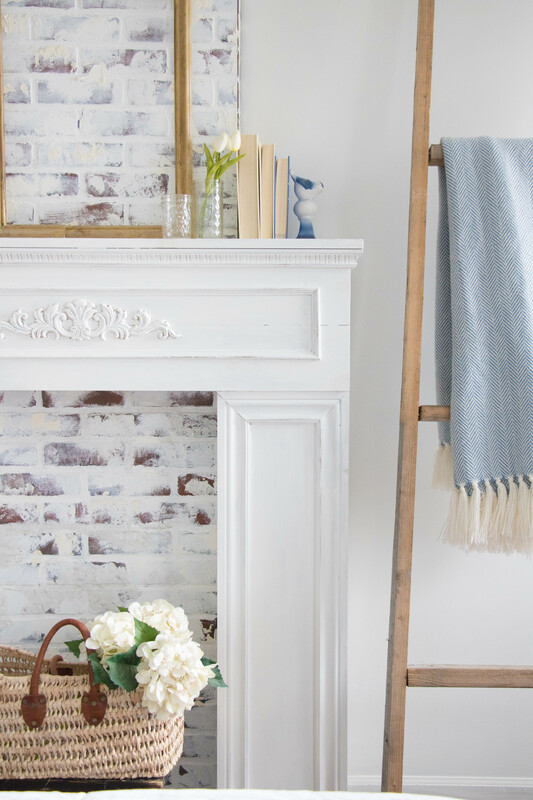 It looks extra fresh with my white walls and I’m loving how the white mantel feels especially vintage. 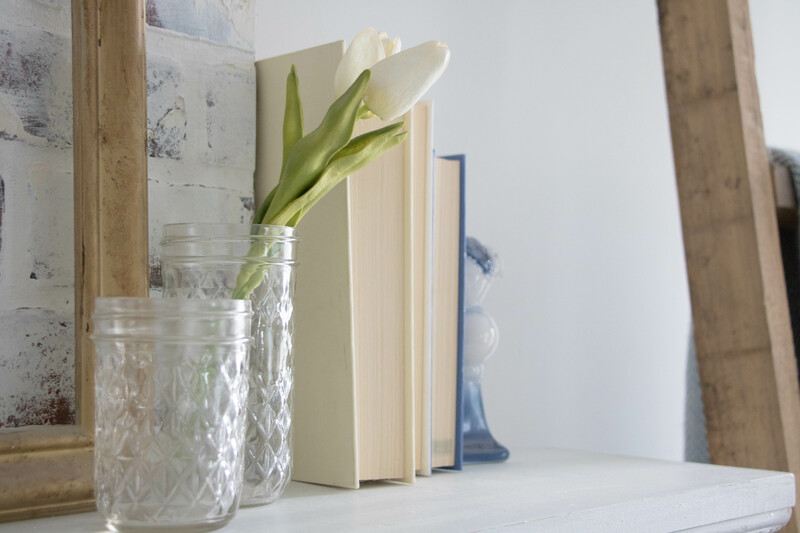 I wanted the pieces to feel collected for the space, so I paired some books, a few candle holders, and a pretty little basket with my faux hydrangeas. 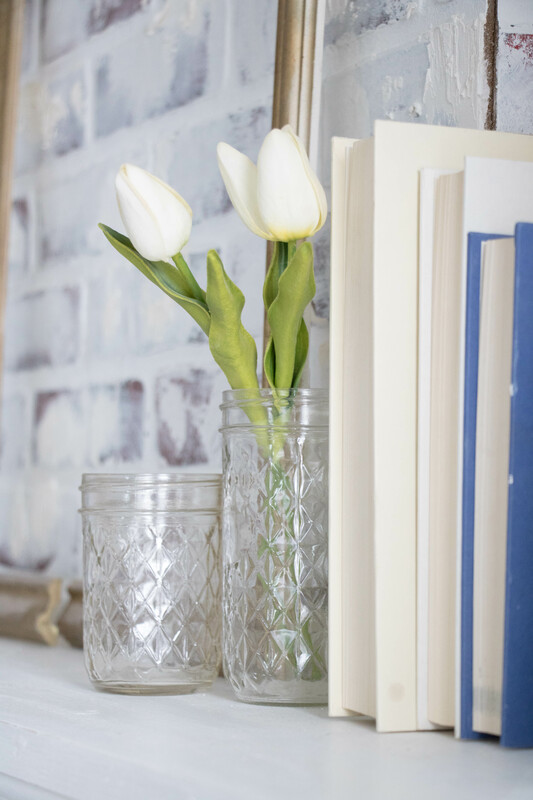 It was these few touches that made my room feel bright and set for Spring. This space is perfection. 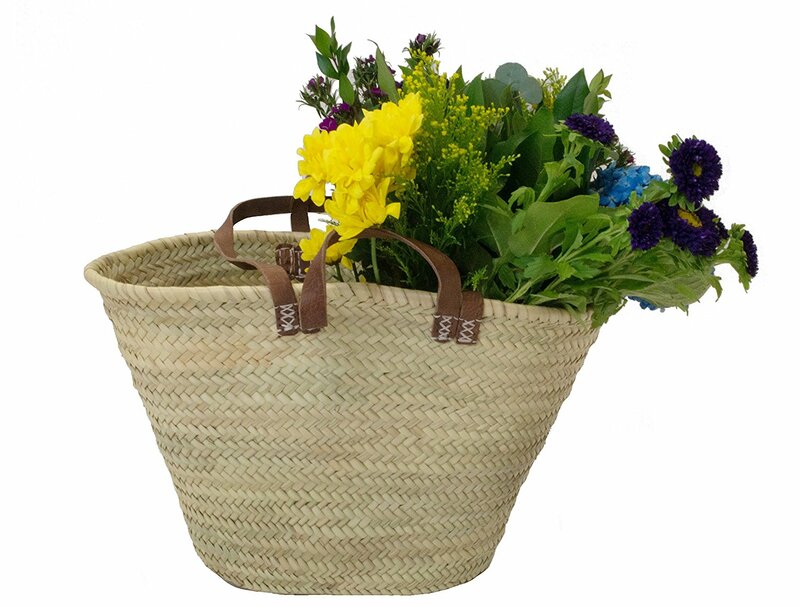 I am loving all of the white, and that basket of flowers takes everything to the next level of fabulous-ness. So dreamy, my friend! This space is beautiful! White and bright is my absolute favorite and the brick backdrop is stunning. It looks so beautiful! I LOVE the blanket ladder! I’m dying to make one for my house, but I haven’t found a good spot for one yet! Thanks so much Amanda! I love having a blanket ladder, it just fills that awkward space so well! lovely tour, deb! all of your blues and natural touches are so pretty! 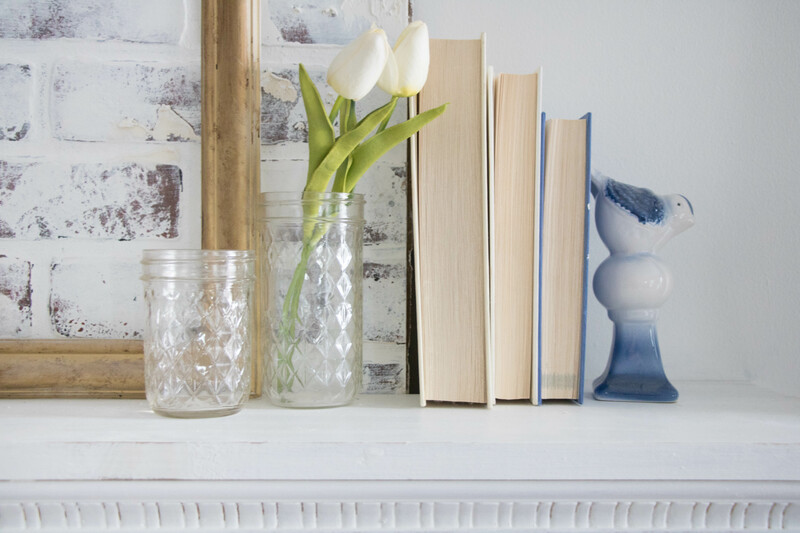 Beautiful and crisp mantel decor – so fresh and springy and I love the vintage feel:) Gorgeous, as always, Deb!! Beautiful Deb! 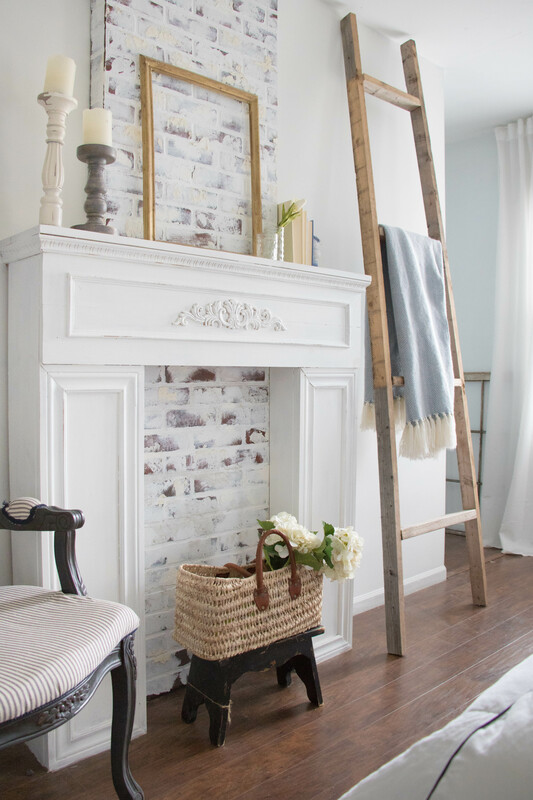 Your styling is so gorgeous and I’ve always loved your faux fireplace. Loving the basket too! 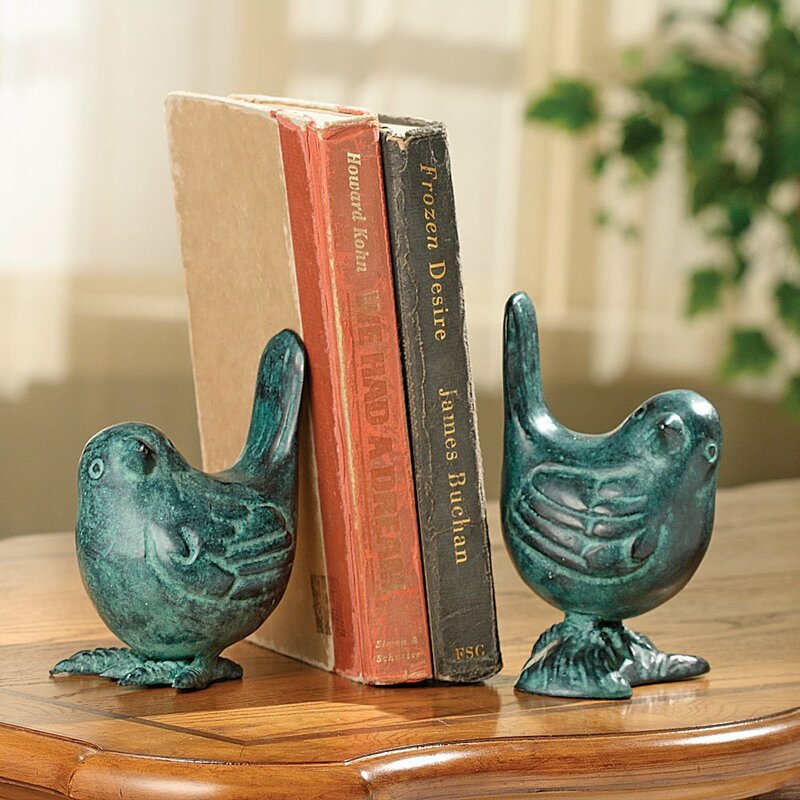 Absolutely love your new mantel Deb! Just beautiful! Thanks Melissa! Yes, very true…Looking forward to that warmer spring weather. 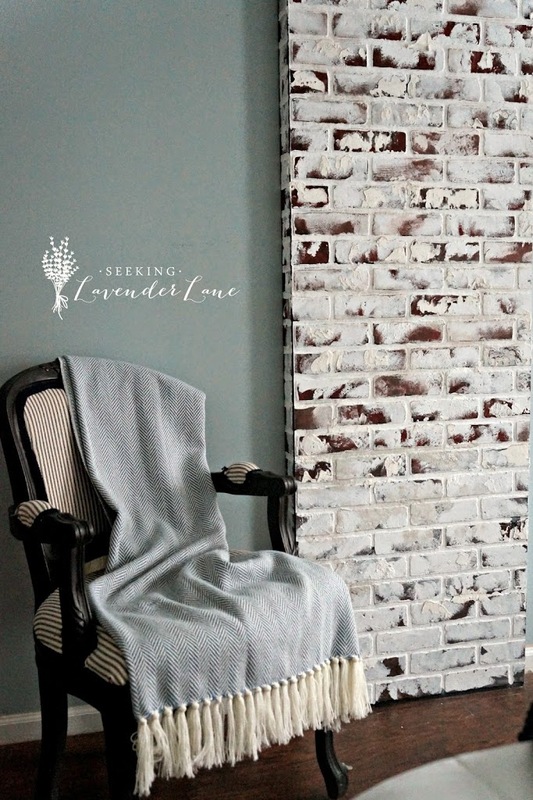 Very pretty – that exposed brick is giving me all the heart eyes. 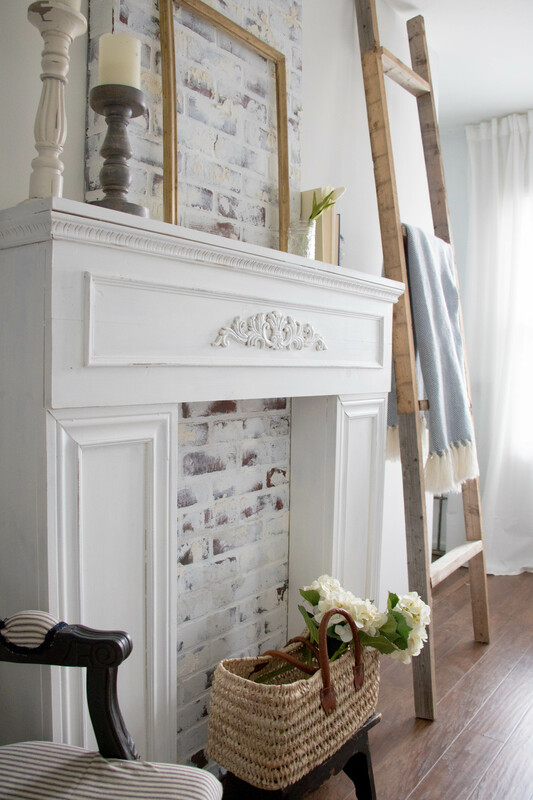 That mantel against the brick is just lovely!